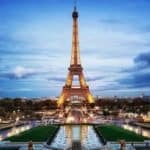 There are so many things to do in Paris by night! 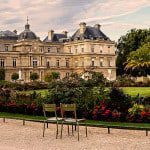 Check out all the best things to do, such as visiting museums, Paris by Night walking tours, bars, shows. Paris by night changes utterly. If Paris is the “city of lights” it is because Paris is more beautiful than ever during the night. You feel like Paris is one of those cities in the world where you can do almost everything you want. Read on this new article and learn how to blend in the Parisian crowd at night, where are the best spot to spend time at night in Paris while avoiding tourists traps. First of all, if you’re in Paris for a romantic trip, I truly recommend you to go to l’Ile Saint-Louis . In Paris, the islands are the places where everything about Paris began and still nowadays, they are very quiet and peaceful places in Paris. On these islands, the life seems very different and the restaurants are too (more things to do around l’Ile Saint Louis). The restaurants on Ile Saint Louis are very nice and traditional. 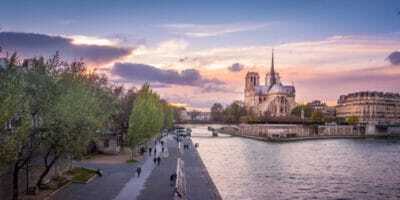 A very good one is called Le Saint-Regis, at the corner of the street Jean du Bellay, in front of the bridge linking the Ile de la Cité and the Ile Saint Louis. There, you can eat a very typical French dish with a very good service and from its pavement area you can admire a beautiful view of the core of Paris. 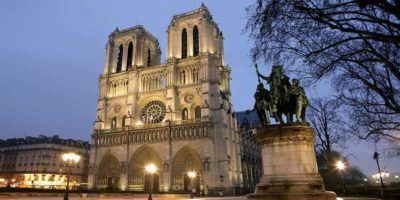 If you want to learn more about the heart of Paris, you can join our tip-only walking tour of Notre-Dame and the Heart of Paris. 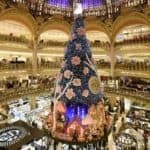 Usually, when I leave a restaurant in Paris, I don’t want to go back home directly and I like to stroll around the restaurant (look here for some recommendations). 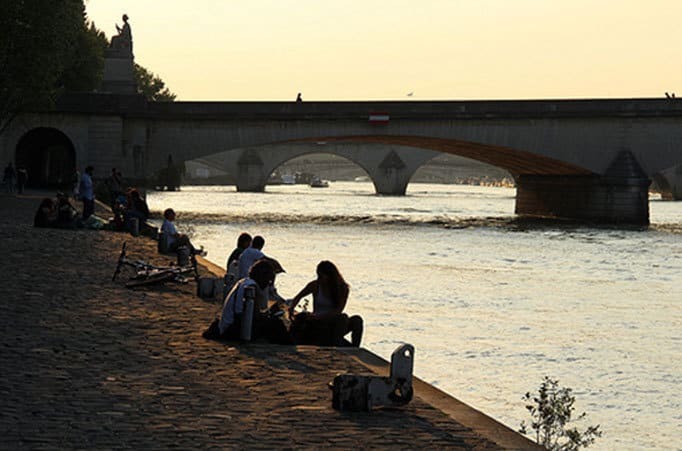 Just behind Ile Saint Louis, you can stay in the same district and have a walk on the banks of the Seine. The banks are a very either romantic or friendly place. There, you can meet people and when it’s sunny, youngsters come with their guitars to play music and the atmosphere is really joyful. But in winter, when it’s cold, you might prefer to enjoy an inside entertainment. Finding something that you would like in Paris is not complicated. If you want to go to a ballet, a classical concert or an opera, you will obviously find something that would satisfy you. The district around the Opera is very nice, there are a lot of typical French restaurants in which you could go after the show! But there is not only the Opera: if you want to listen to music in Paris, around the metro station Pigalle, there are a lot of concert halls. The most famous concert halls are: Le Divan du Monde and the Bus Palladium, they are dedicated to rock’n’roll and blues. It is really a good way to listen to good live music and it’s cheap (around ten euros one ticket). If you don’t like music nor Opera, you will probably like French humour. 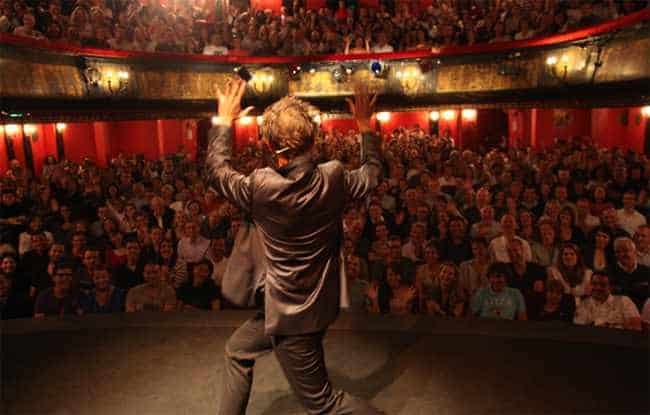 You know, it is said that Parisians have a very strange way to behave, if you want to learn how to behave like us, a French humorist called Olivier Giraud performs a show 100% in English called “How to become Parisian in one hour” (read 10 things you didn’t know about Parisians). All the show long, he derides Parisians habits with a very caustic humor. If you want to learn how to make fun of the Parisians and entertain for sure in Paris, this is the place to go. The show happens at Le Théâtre des Nouveautés, at the metro station Grands Boulevards, every Thursday, Friday & Saturday at 7PM and Sunday at 6PM. Find and buy tickets online for this excellent show. Our advice? Don’t miss it! Otherwise, some museums close their doors late once a week in order to let people visit during the evening. 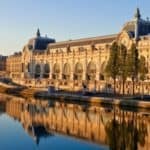 The Louvre closes at 22 pm every Wednesday and Friday, the Orsay museum closes at 9.45 pm every thursday and Centre Pompidou closes at 9 pm everyday. 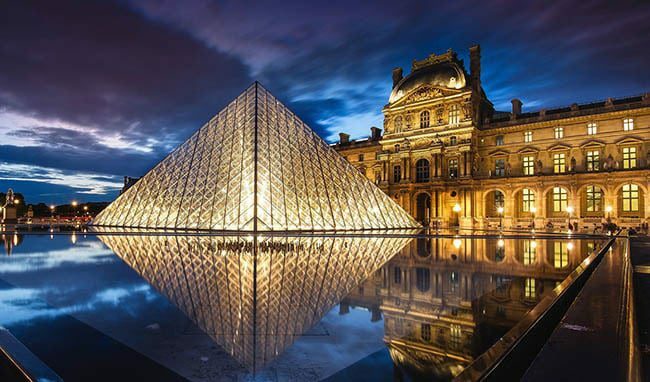 You can find here the best tips to visit Paris museums. The night is my favourite moment to visit museums because you can really experience something new. In the evening, museums are very quiet and the visit is peaceful. Also, young local guides are running night tours starting from the Louvre almost every day and crossing the Seine river to St Germain neighborhood. It’s a great way to enjoy the city when it’s more quiet and beautiful. 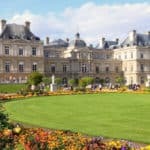 Learn more about this 90-minute walking tour from the Louvre to Saint-Germain, the best experience to enjoy the city of light when tourists are gone. If you want something more dynamic, Paris is also a big university town. As students, we don’t especially like going to the Opera with friends. Having drinks in bars is maybe the favourite activity of French youngsters. In Paris, students go only to few districts to have drinks in cheap bars. One of the friendliest districts to find good bars is located around rue Oberkampf in the 11th (Looking for the best lounge bars in Paris?). It is just behind the metro station Parmentier on the third metro line. 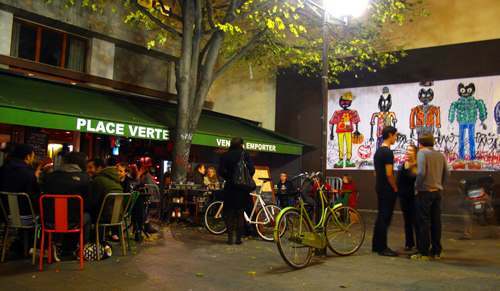 There, you can find a lot of bars and cafés very trendy like Place Verte which is very convivial. This is really the area where all Parisians students go to have a drink during the weekend with their friends because the atmosphere is very friendly and the drinks are not so expensive. I utterly recommend it to you because I know that you can spend very nice evening there. And then, if you want to party all night, you can go to one of the numerous nightclubs in Paris. All over Paris, there are nightclubs but here are the most famous and known by the Parisians. 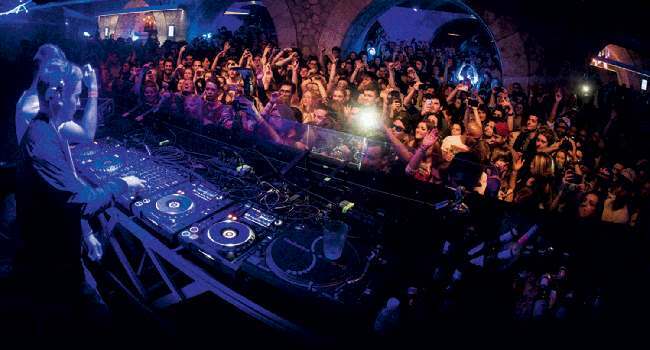 The must-do nightclub in Paris is Le Showcase, this is the very place where all rich youngsters and Parisian love to go. This is the place to be if you want to experience what is being a Parisian ‘party animal‘. To get in, you have to be trendy but smart. The entrance costs between fifteen to twenty-five euros but it is worth the price because the nightclub is just under one of the most beautiful bridges in Paris, which is the bridge Alexandre III. There are other nightclubs in Paris but the Showcase is the one you should go to if you have only one night to spend in a nightclub in Paris. If you want to go back late in your hotel or apartment, don’t forget to check the time for the last metro or the buses because catching a taxi in Paris might resemble a nightmare. -> Start with a free (tip-only) walking tour of Montmartre – it’s the best way to explore “the old Paris”. Book your spot now for free (no payment needed). We just want to know how many people will join us! We run Montmartre tours every day at 11am, 2.30pm &5pm. All this dancing, or sport or cultural activities are great of course. However, late at night after all this dancing, you might feel a little hundry! And there’s nothing worst than walking in circle for hours and finally ending up with a doubtful kebab sandwich and sad french fires. In those very moment all the Parisian foodies know exactly where to go (learn more about our Food Tour). And that’s where Parisians have been going for centuries: Les Halles. This area in the very center of Paris is called “Les Halles” in reference to the big central market that used to be there until the 1950’s. It’s always been where the food was the freshest and the most tasteful. Well, traditions are strong in Paris and that is still where you will find the best 24/7 restaurants of the city. There are about five restaurants opened all night long. 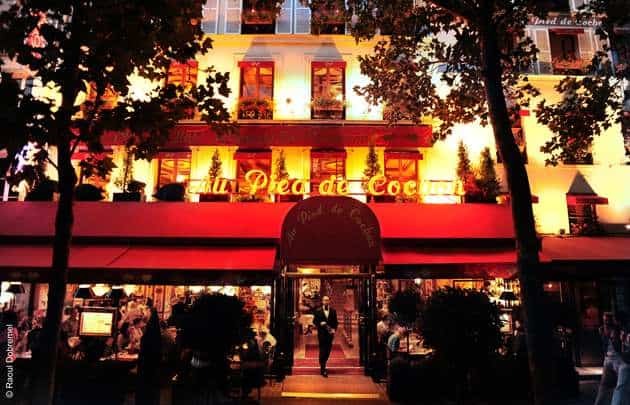 The most famous being Au pied de cochon”!My personal tip is to go there only very late. Because that’s when locals are themselves going and therefore that’s when the funniest atmosphere starts to kick-in. At 6.30 pm or 7 pm it is definitely not the same! 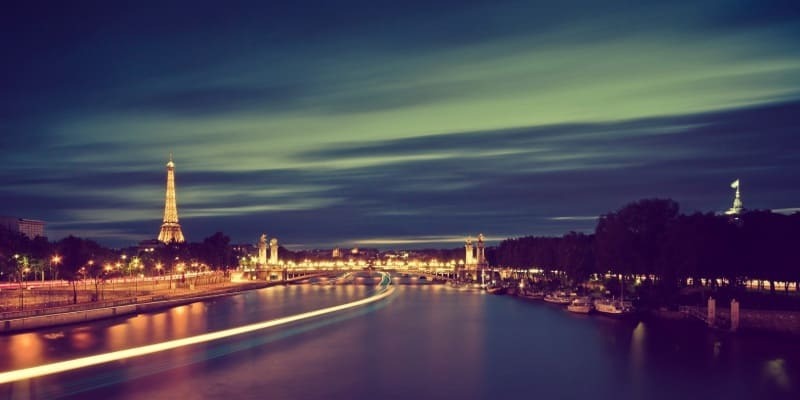 You now know how to fit in the Parisian crowd and how to enjoy Paris at night! I hope you’ve enjoyed reading this article and that it has been useful to you! Don’t hesitate to contact us if you need further information about anything! Paris is pretty gorgeous at night, with all its enlightened landmarks. 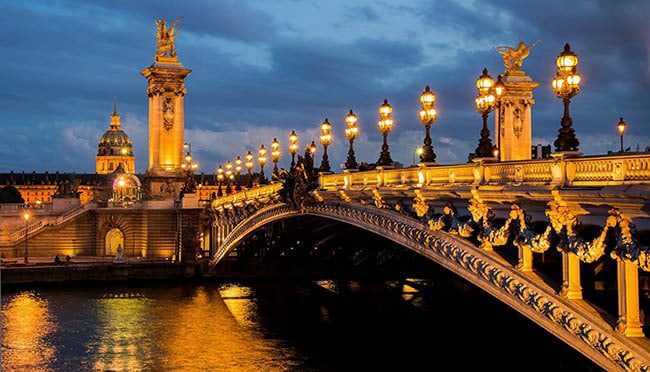 Paris is quite special during the night, you will love to experience it! See you soon in Paris! Victor takes political science lessons at Sciences Po in Paris. 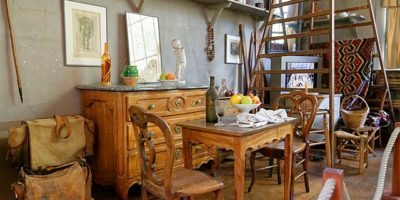 Born and raised in Le Marais, he loves the picturesque districts of Paris. 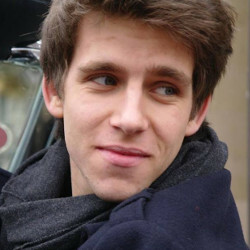 Fond of music and paintings, he has a real good time during tours such as Montmartre.